Home / Entertainment News / Mase / Maybach Music Group / Music News / Omarion / Rick Ross / Omarion and Mase to Sign to Maybach Music Group? Omarion and Mase to Sign to Maybach Music Group? 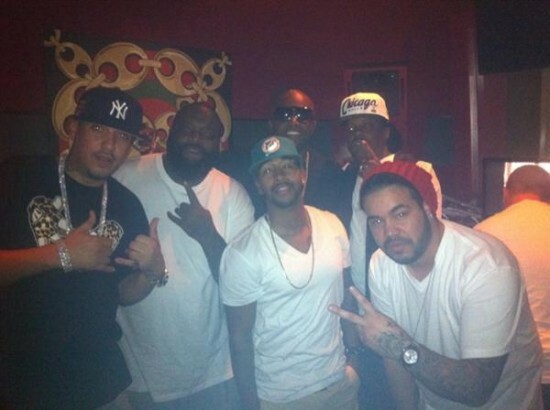 Twitter and the blogosphere were going crazy a few days ago after a photo surfaced of Omarion in the studio with Rick Ross & Mase. Now, the Source says they got the scoop from a reliable source within the MMG camp. According to a reliable source within the Maybach Music Group camp pieces are falling into place. "Yes, I think its safe to say Omarion is MMG." As the Maybach Music empire continues to evolve it may not end there. Seems as if there is another offer on the table, "I don't want to let no cats out the bag but we'll see what's good with Ma$e." When pressed about what the roster may look like in the upcoming months, "As far as newest members Omarion and shout out to Ma$e if he wants to get down with this movement then we'll see what happens."